The University of Maine at Presque Isle will give students the opportunity to spread kindness on and off campus during the week of Nov. 13 through Nov. 18 by showing acts of selflessness as part of the University’s first ever Kindness Week celebration. 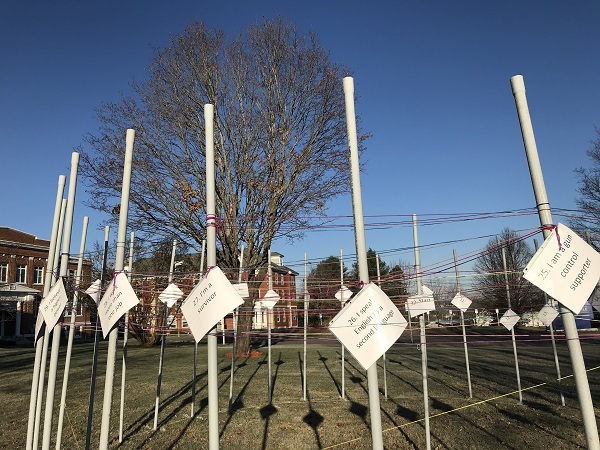 Hosted by the UMPI Inclusion and Civility Task Force, the week was specifically chosen to coincide with World Kindness Day, which takes place on Nov. 13, and the International Day of Tolerance, which is on Nov. 16. The Inclusion and Civility Task Force was established at UMPI in Fall 2016 and works to foster inclusion and civility at UMPI in ways that embrace diversity, create solidarity, encourage civil discourse and respect for others, and increase a general feeling of safety on campus. UMPI Kindness Week activities include everything from penny wars and writing notes to Veterans to helping out at the Central Aroostook Humane Society and a UNITY Project. Throughout the week, all are encouraged to donate their pennies for UMPI’s Penny Wars, with donations benefiting the Red Cross. The major with the most points in its jar also will win a pizza party. To donate, visit the Campus Center or Folsom/Pullen through Nov. 17. Also throughout the week, and in honor of Veterans Day taking place in November, students will have the chance to ‘Thank a Veteran’ for their service by writing them a note. Students can write a note at the Whoo’s Hut on Tuesday from 11 a.m. to 1 p.m., at the Owl’s Nest on Wednesday from 8:30 p.m. to 10 p.m., or in Kelley Commons on Thursday from 5 p.m. to 6:30 p.m.
On each of the posts is an identifier (such as “I’m a parent,” “I live with a disability or chronic illness,” or “I speak English as a second language”) and participants are encouraged to start at the center pole and tie colorful yarn around all the posts that reflect their identities. The result of the intertwined yarn is a “web of interconnectedness;” ultimately, the website states, “we see that we are all connected by something, and it’s our diversity that builds a strong and vibrant community.” All are encouraged to grab a string and tie the community together with the Unity Project and join organizers for a special event on Thursday at 12:15 p.m. to celebrate the project. Finally, participants can take time on Saturday, Nov. 18 at 1 p.m. to volunteer at the Central Aroostook Humane Society by playing with animals, cleaning cages, or helping with any other needs. The van leaves at 12:45 p.m. in the Campus Center circle. 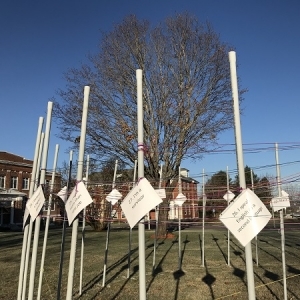 “Our hope is that our campus and community will embrace this week of activities, and create a chain reaction of kindness that will spread far and wide and throughout the year,” Pearson said. For more information about UMPI Kindness Week, contact Vanessa Pearson at (207) 768-9432 or vanessa.pearson@maine.edu.